Like Veeblefester, I'm gonna call b.s. on Brutus' story here. Brutus is always seen taking the bus to work. He never drives. Never. Well, rarely. 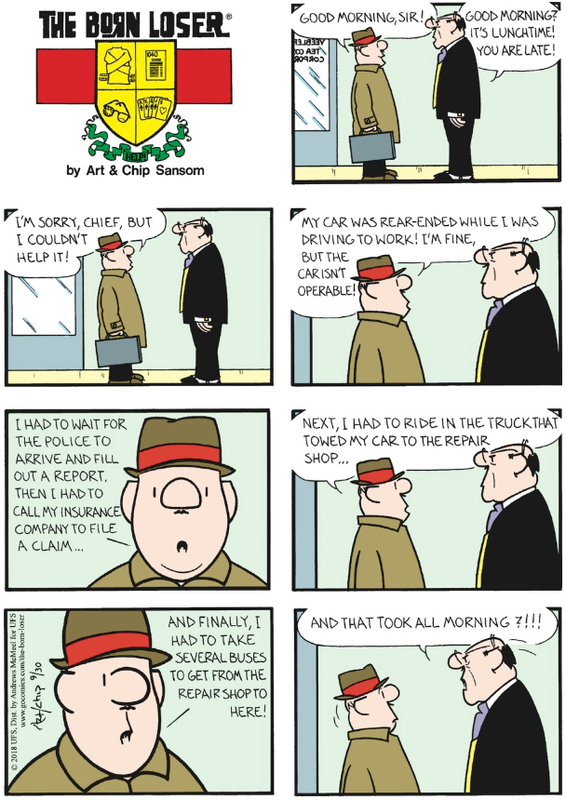 It makes perfect sense that the one time Brutus drives himself to work, he gets into a car accident. Perfect. Flippin'. Sense. If you enjoy my writing or my research, you can support them by buying me a cup of coffee on Ko-Fi. I have also posted a list of what's coming up in October.